Most modules have settings. Some settings are optional, while others are required which are indicated with “(required)” for the setting. You must update the required settings in order to save the module settings. If you attempt to update, a message displays with an * asterisk next to the required field. In most cases, you can access applied modules on the Main Content tab of the specific page. Click the Module Title link to display module settings. If you make module setting changes, click the Save button and on the Administration menu, click the Refresh Cache option to apply the changes. You can optionally click the Edit Settings link in the top right corner on most pages to directly access module settings. If more than one module is on the page, use the Module drop-down to select the desired module. When you make adjustments using the Edit Settings link, click the Save button then the Done button. 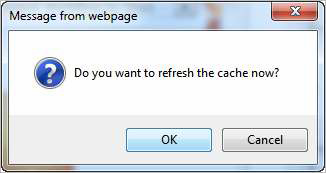 Arena displays a refresh cache window. Click the OK button to apply changes. Click on the desired page. Expand the page tree as needed to access the desired page. The screen refreshes and displays the Page Details. This also displays the tabs that represent the content areas that define the page layout. 1. Click the desired content tab. Most modules are on the Main Content tab. 2. Click the Add New Module icon. By default, the new module name is New Module and the type is “Advance HTML Text” that functions as a default placeholder. 3. Click the New Module link. 4. From the Type of Module drop-down list, select the desired module. Based upon the selected module, make required and desired changes. 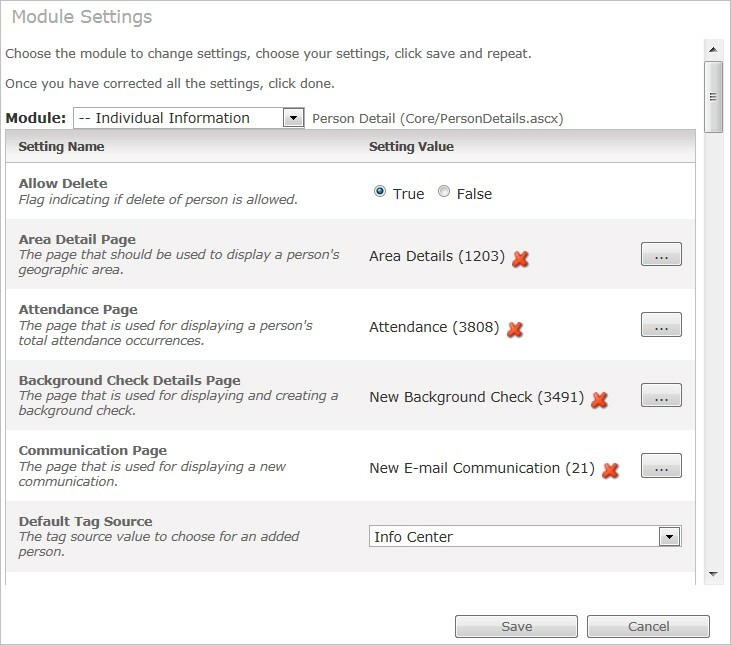 Many modules have required settings, and you cannot update the module until you enter or select all required fields. If you click the Update button without selecting a required setting, a message displays indicating that a field is missing, and an * asterisk displays next to the field. Adjust security permissions for the module, if needed. Keep in mind, the new module inherits permissions. You can also set permissions through Security Roles. If multiple modules exist, click and hold the Reorder icon to change the order of the modules.